"I am a Biomaterials and Tissue Engineer by profession and recently got into 3d printing of medical implants. I would be greatly obliged if you could please advice me on designing 'cranial mesh' My task is to design titanium based cranial mesh. I would like to know if you can suggest me any tutorial on the same." I am a resident in neurosurgery in Brazil and I have a dream to allow cheap cranioplasty for those in need that depend on Brazilian public health system. If you have some sort of tutorial using free software to make those prosthetic cranial grafts of a cheap way to make a mold out of it I will be glad to hear from you. I am planning on buying the ultimaker 2 printer which allows direct PEEK print and also PLA print for mold to go through autoclave." I must admit that I have limited experience with craniofacial implants. I know that the physicians at Walter Reed Army Medical Center in Bethesda Maryland are doing pioneering work in the field. Regarding making titanium-based implants I am unaware of any tutorials, but a search on Pubmed has yielded a few helpful articles. Here is one https://www.ncbi.nlm.nih.gov/pmc/articles/PMC4073471/ From what I have seen most of these implants are designed using the Mimics system by Materialise. Regarding the low-cost solution for cranial implants, I'm not familiar with any freeware software that specifically does implants. From the hardware perspective, you may want to consider a Form 2 stereolithographic printer in addition to the Ultimaker 2 (FYI, there is a new Ultimaker 3 printer out). Formlabs, the makers of the Form 2 have a tutorial on using their printer to make molds for casting. https://formlabs.com/blog/3d-printing-for-injection-molding/ Formlabs has a dental biocompatible resin that I know some hospitals (Mayo Clinic) are using for in-surgery cutting guides. I heard them talk about that at a conference I recently attended. Whatever you do, make sure you follow the health safety rules in your country and take all necessary steps for patient safety. Hi Dr Mike Thanks for this blog post. 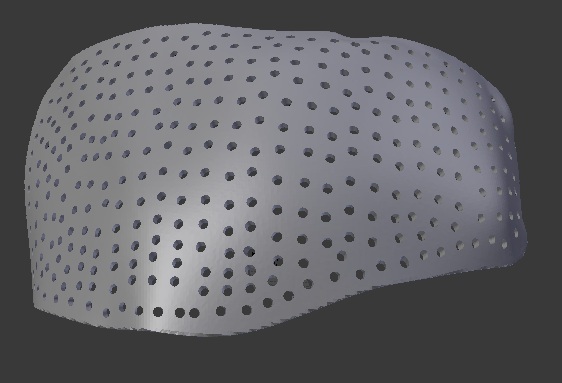 I was also interested into making craniofacial implants, and also i have found MeVisLab free software, but i found it very complex to work with. Than also i tried with Geomagic Sculpt and Freeform, but as Saumyam mentioned they are pretty expencive (retailer in my country said that the price is aroud 2000€ for Sculpt, and 6000 € for Freeform, and 8000 € for Freeform Plus). It was very hard to work with Geomagic sculpt (laggs, unresponsice control etc. ), but Freeform was discovery and I am very pleased with that software. 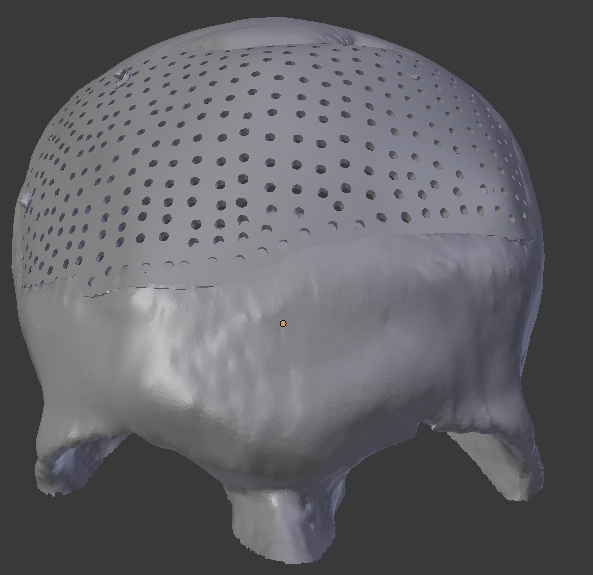 Here is model of custom made cranial implant that I made using Geomagic Freeform trial version and Blender. Few details remain to be done on it. I was in a bit hurry and very nervous when i made this model so thats's the reason why are holes non uniform. Thanks for posting this link, will try them. I am a industrial design engineer from Hungary. I work in a Clinic near the Austrian boarder. 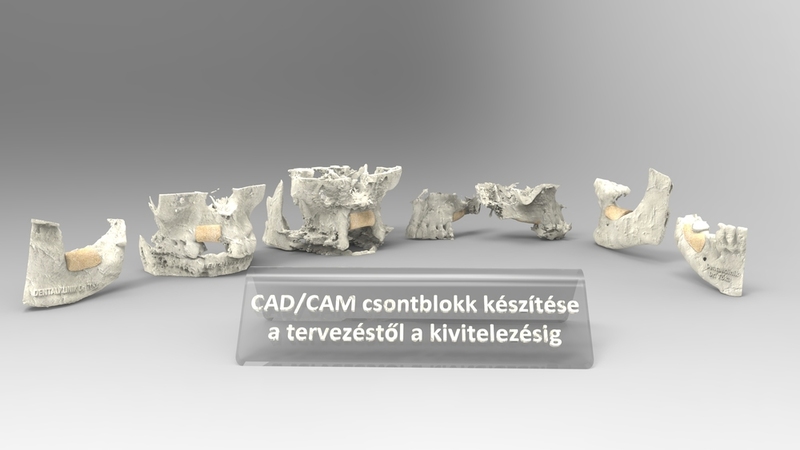 I design and manifacture CAD/CAM bone grafts from human allograft for doctors and patients. I work whith many cad software and CT software. I was also intrested making other implants for humans, and I would like to share a plan with you. I'm curious about your opinion. The first picture is a human allograft, what I design and manifactured. These plans are alredy implanted. The second picture is the plan, what I designed. Regarding to your second pic and implant for the orbital floor, I spoke to one of the maxilofacial surgeons in my hospital and the main problem would be precission... orbital floor implant anatomy should not differentiate than original patients anatomy more than 2 mm or you get diplopia. I am a neurosurgeon. The simplest way to solve most of our problems in a low cost and rather according to the rules way is to first to print the patients skull (easy). Than to form manually, slowly and exactly a lacking bone from the cheap, available everywhere in the world dental molds (I have succeeded with silicone prosthetic mold). When the bone substitute is ready and firm, then make an impress in a stomatologic acrylic mass (methacrylate, the ubiquitous surgical material), also available everywhere. Its the same component that we use to form a bone in the operating theatre, but not sterile. If you have the mold ready, you can sterilise it in a plasma autoclave, put in a sterile foil bag in the operating theatre and then form in this foil and form a lacking skull piece from a classic methacrylate. Sterile, with all of the certificates needed. It does work. 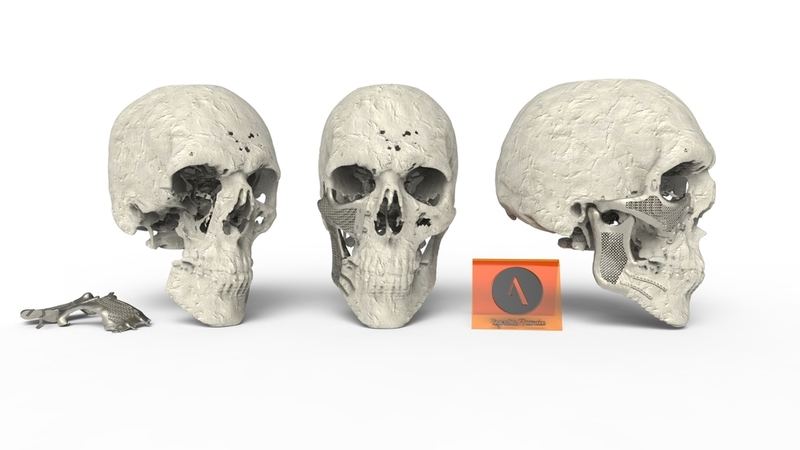 Ready 3D printed skull flaps are often imperfect. I.e. they do not take into consideration brain swelling, soft tissue remodelling etc. The mold and forming the bone flap during surgery from PMMA seems to be much more versatile. And you do not have to throw away the bone substitute of 2000 USD into trash. embodi3d has helped me a lot in helping my patients, with no cost. Chapeau bas! If any questions, please contact me. I am a practician. Piotr, that is brilliant. Thanks for sharing. Are you doing along of 3D Printing-assited bone flaps? I am a biomedical engineer, I own a CAD/3D print Company in Croatia. My Company is specialized in production of 3D printed moulds for making patient specific cranial implants out of PMMA. This is a rather cost effective way to produce patient specific cranial impants. I use Solidworks for designing implants and moulds. This software isn´t free, but it's cheaper than Geomagic.